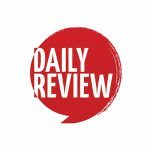 Mark Brandi discovers Eddie McGuire, the literary benefactor | Daily Review: Film, stage and music reviews, interviews and more. It takes time and therefore money to write a book. 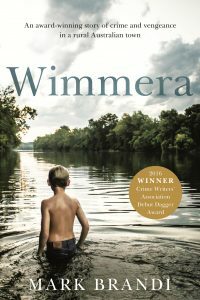 Mark Brandi, the author of Wimmera (Hachette Australia), decided to find cash by taking a journey that involved risk, humiliation and getting up close and personal with Eddie McGuire. He tells his story below. No one needed to know. Not my work, or my friends. Definitely not my family. After all, it might be a disaster – I could walk away with nothing. Or worse, be humiliated on national television. Despite hopes of becoming a writer, I’d found myself trapped in the drudgery of a policy job in a government department. But with a mortgage and bills to pay, staying put made sense – in my head, if not my heart. Still I wondered … could I escape this life of wage-slavery and pursue my dreams? Maybe. But I needed some kind of circuit breaker, something to kick-start a new career. And if I was to write, more than anything, I needed cash. So I find myself, on a steamy February afternoon, waiting nervously in the green room for Millionaire Hot Seat. While my fellow contestants scope out each other’s quiz show expertise, I vividly imagine my impending humiliation. What if I bomb out first question, or just completely freeze? My nerves are jangling. What the hell was I thinking? I seriously consider doing a runner. But then, I remember something. Before I know it, we’re on set and each waiting our turn in the Hot Seat. The studio lights are blinding and the audience are going nuts; and there’s Eddie –sharp-suit and make-up – like a rat with a gold tooth. The pills (four within an hour) start hitting me hard. I feel myself drifting outside my body, away from the set, as though watching the whole thing unfold from somewhere in the audience. Paul, a former AFL footballer, is up and nails the first question before passing. Jim, a video store employee, answers a few before bombing out. Kathy’s the battler with a back-story. She works at Bunnings and keeps greyhounds. And she’s from Frankston. Eddie’s eyes light up. Despite not knowing the answers, she guesses three and seems destined for the remaining $100,000. Eddie is delighted, the crowd is loving it, and I feel like I might throw up. Kathy falls short, just one question shy of the cash. She trudges off stage and Eddie hides his disappointment – ever the pro, the thousand-watt grin shines right through. My turn. One question. $50,000. I am thrust, with one almighty thump, back to reality. My breathing is rapid and my heart beats up inside my throat. ‘The source of comic-book superhero Green Lantern’s special abilities is his ‘power’ what? I read comics as a kid, but more UK than USA. More dystopia than Marvel. Then, in my mind’s eye, it appears. I don’t know if it’s a false memory or the benzos or what. But I see my hand reaching inside a cheap carnival show-bag from my childhood, right down in the corner … a small, green, plastic ring. ‘I’ll go with B,’ I say. Eddie’s eyes sparkle somewhere between charisma and malevolence – I’m sure I’ve blown it. But then, he says it. The audience erupts. Fellow contestants shake my hand. Even some of the crew manage a smile. As the lights fade and we walk from the set, Eddie pulls me aside. We pose for a photo at either end of a novelty cheque. Then, quietly, some sage advice from the boy from Broady. He needn’t have worried – I had firm plans for the cash. Soon, I changed to part-time hours and tested the waters: the writing life felt good – more than that, it felt right. The money gave me time and space to complete early drafts of my novel, Wimmera, while still keeping the wolf from the door. 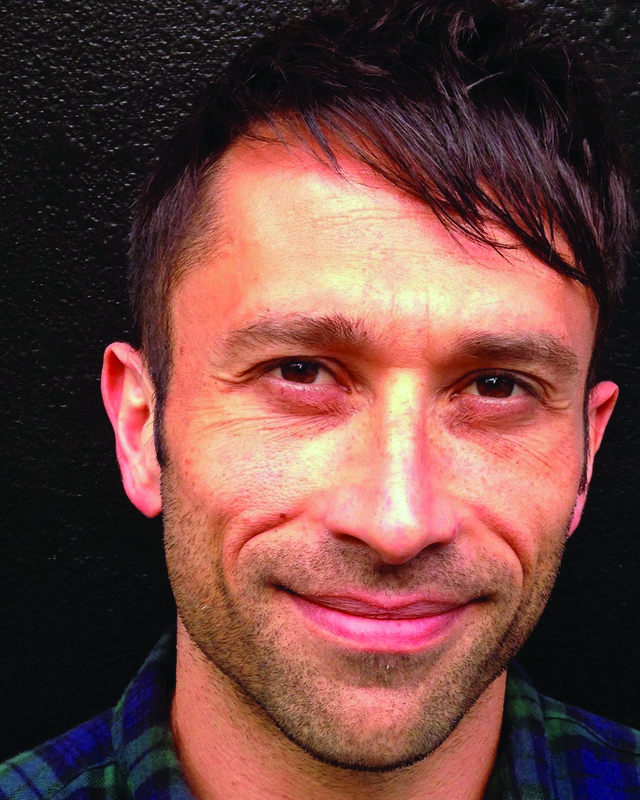 Publishing is a tough industry – for a first-time novelist to break through, all the stars need to align. In my case, one of those stars was a celebrity of debatable talent, but undoubted tenacity – a quality also vital to any aspiring author. So I will always feel a peculiar debt to Eddie McGuire – perhaps the world’s most unknowing (and unlikely) literary benefactor. 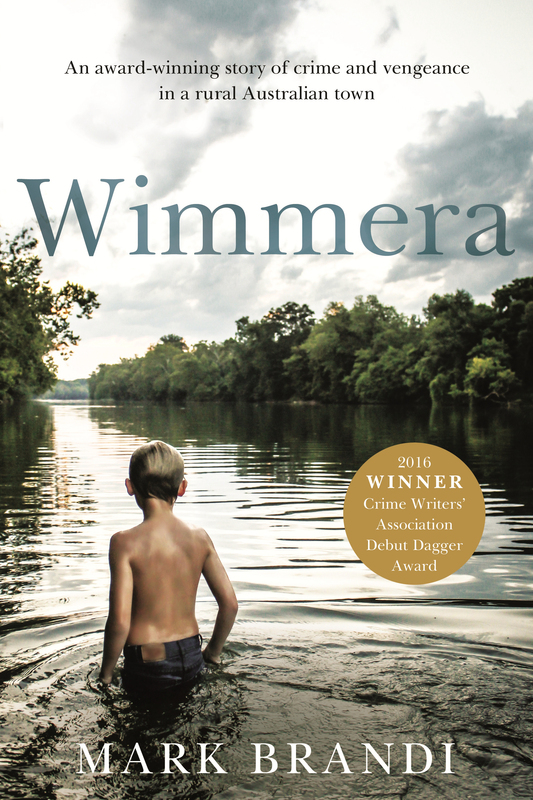 Wimmera, a crime novel about small town with a big secret, was the winner of the 2016 UK Crime Writers’ Association Debut Dagger for an unpublished manuscript and is now published by Hachette Australia. Brandi was born in Italy but grew up in rural Victoria and is a former policy advisor for the Victorian Department of Justice. How did I miss this – maybe I was house-sitting! Good story – adds to the concern that I have which contends that no one is wholly bad – no matter what the popular opinion might be – and I seem to recall that last year (and/or the previous year) Eddie M was pretty much reeling from one case of foot-in-mouth to another. And what a stroke of the gods looking after you, Mark – just tipping you over into being able to give up that full-time work – and get really stuck into the writing! Don’t look back – except in matters of research! Oddly, in a former journalistic life, O had some dealings with Eddie – though more so his brother Frank. This article is fair; he is a phenomenon, a genuinely self-made media personality (whatever that is), but people forget he WA since a fantastic reporter. That is, he is real. And that anecdote shows he has a heart, too. Good on him, and good on the author for acknowledging it. Ah, Eddie McGuire. You invoke him in print and next thing I know I buy your book. He’s a powerful man.